FREEMYNZ Releases Their Hot New Video | Celebrity Plus-Again! 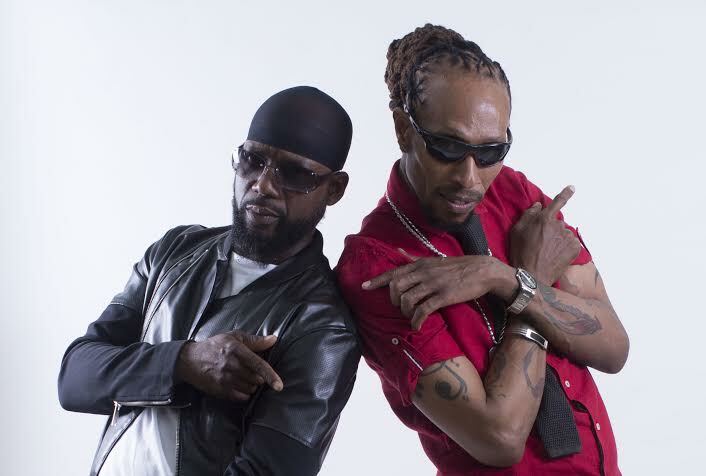 Our favorite duo Freemynz, consisting of reggae artists, Shango Trex and Catapila, have come out swinging in 2015. Their latest release “Time To Shine”, an up tempo dance track has been topping charts since its release in late August. Great audio always comes to life with great visual, and Freemynz certainly didn’t disappoint in this department. A preview trailer of this latest production has fans patiently anticipating the full length video. With a host of names and faces the official video for “Time To Shine” is now available for your viewing pleasure. Produced, directed and edited by Multiflave (Gabriel Zobo-Lebay), with assistance from Masaki Kato and Gregory Arnold, Freemynz can now rest for a moment on their laurels while fans absorb the artistry of their latest masterpiece. This short (film) features actors and models, Ambi, Thiam Pako, Carole Pontes and Fal Morikawa. Sounds amazing doesn’t it? Well, there’s more. MK Motors Limited did the paint job on the Quad Lifton motorcyle ridden by Catapila, and you don’t want to blink and miss the Toyota Mark2, the Yamaha Majesty 250CC or the 1950’s Harley Davidson motorcycle in the city scenes. Yes, it’s that kind of party. It is Freemynz’ time to shine, and shine they do. The video treatment was well written, and the video direction well executed. Freemynz most definitely has another hit on their hands and fans can rest assured that the wait for “Time To Shine” visually, is now officially over. Log onto http://www.freemynz.net and subscribe to their newsletter, and be sure to subscribe to Freemynz’ YouTube Channel. This entry was posted in Feature, Music, News and tagged Catapila, freemynz, jamaica, japan, Music, reggae, shango trex, Time To Shine, video. Bookmark the permalink.